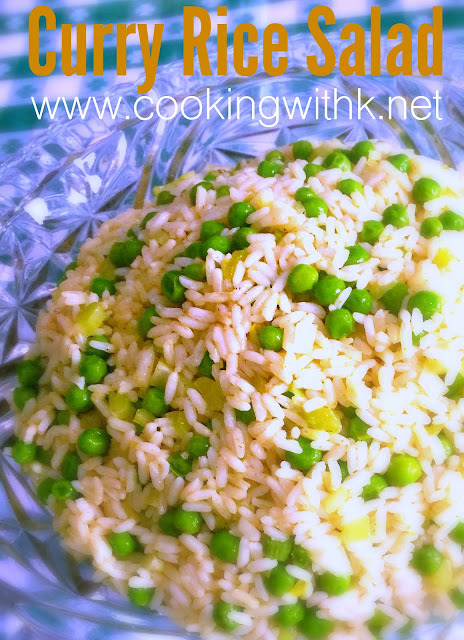 Curry Rice Salad, fluffy white rice, yellow curry powder, and bright English peas, the perfect dish to use up leftover rice. When I have leftover rice, one of the first things I think about is making this cold rice salad. Leftover Makeover is a new label on the blog now. 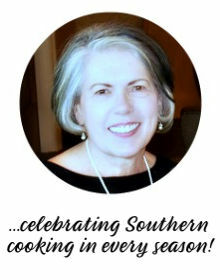 I will be adding recipes in this tab featuring leftovers from prepared dishes, leftover ingredients from recipes, and leftover holiday meats. Leftovers are not just reheating last night's dinner for lunch. 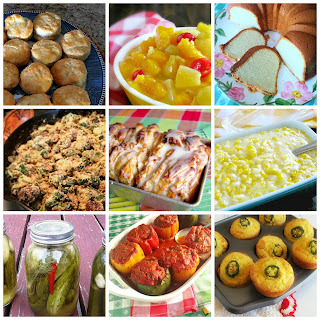 Leftovers can include ingredients leftover from recipes that are unused and stored in the fridge or pantry. I detest wasting food. One of my pet peeves is forgetting about opening a box, jar, or package of something and then forgetting to use the rest before it expires. Leftover rice is a staple in our house. Most of the time I cook extra rice to have leftover for recipes, casseroles, rice pudding, and who doesn't love hot rice with butter and sweetened with sugar or honey? Yum, I am hungry just typing about it. 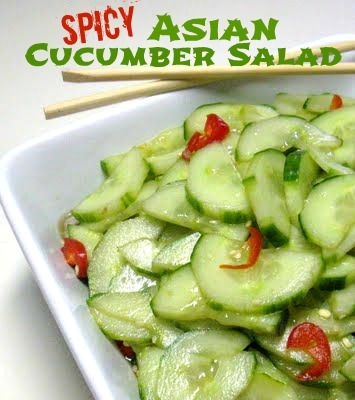 When I first married, I remember my sister making this delicious cold rice salad. I would go back for seconds every time. I remember her serving it in a clear glass dish that resembled a small clay pot. Being a newlywed I thought that was just gorgeous. I love how memories surface with old recipes. 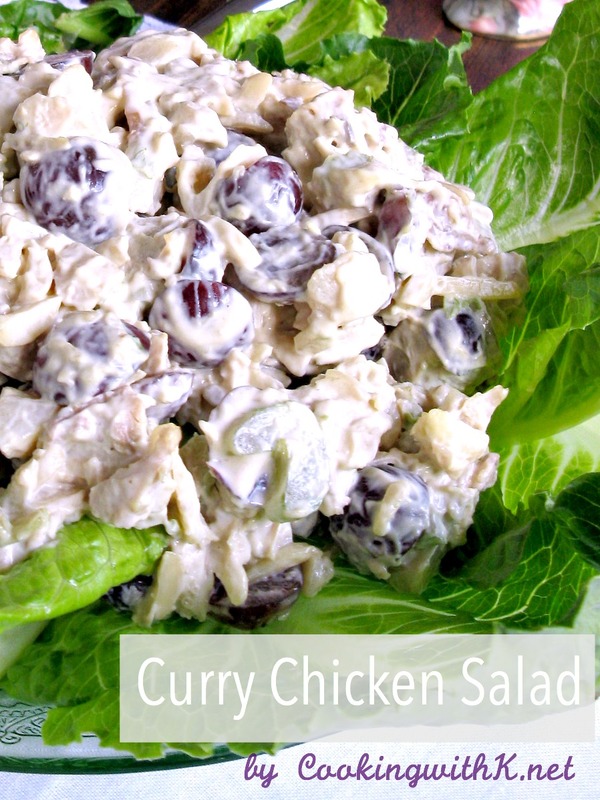 I am a huge fan of curry and this salad sings it's glory. 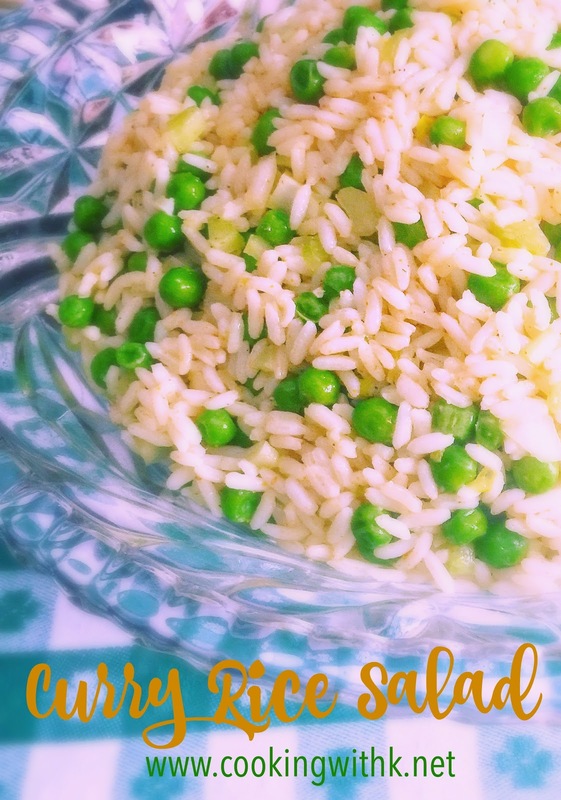 The onion and celery are perfectly paired and the addition of the English peas makes a delicious side dish for a barbecue, at a picnic and toss in a cup or two of chopped chicken and you have a full meal. Hope you get to make this dish soon. Enjoy! While rice is still hot, add onion, vinegar, oil, curry powder, and salt. 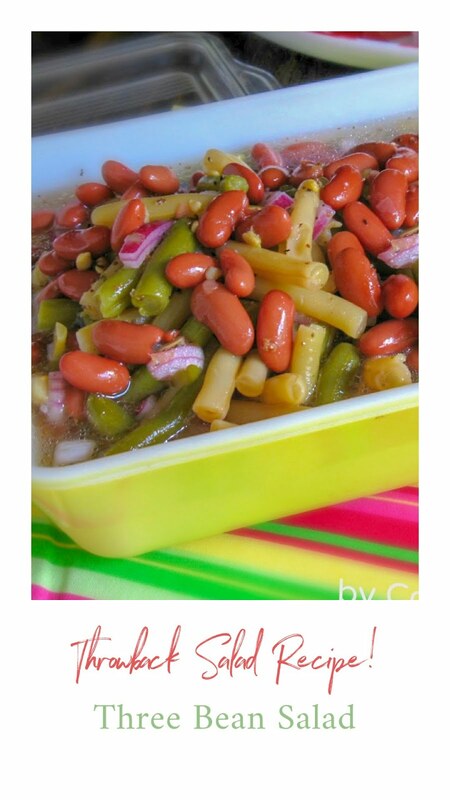 Mix well and chill mixture for at least 3 hours or overnight. Just before serving toss together mayonnaise, celery, and peas. Cook's Note: If using the chutney, stir it into the mayonnaise and then toss with the celery and peas. I love a cold curry rice salad! 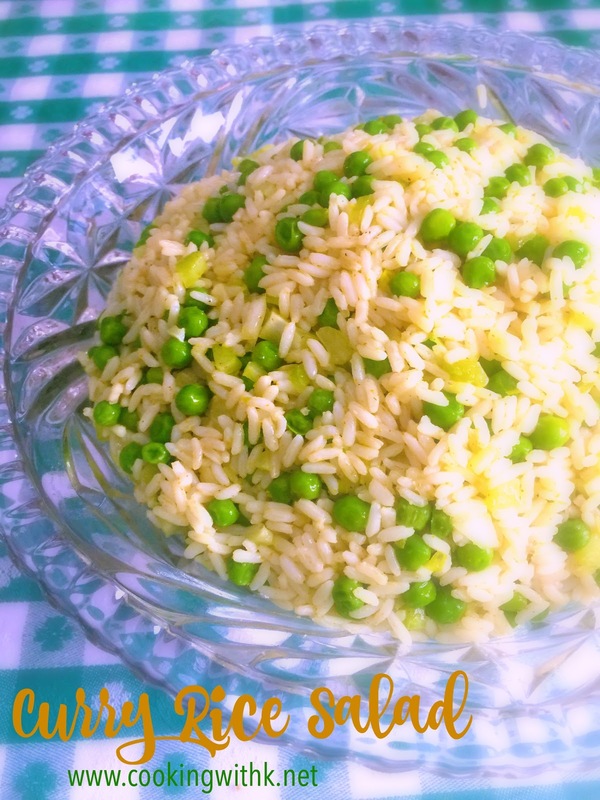 Definitely perfect for BBQs and picnics :) I use brown rice but I love that you have peas in this one and the idea of adding some leftover roast chicken to round it out as a whole meal - yum!